Home > Higher Education > IHS Physiotherapists Breaking Global Barriers to Education! IHS Physiotherapists Breaking Global Barriers to Education! IIHS boasts its partnership with Helsinki Metropolia University of Applied Sciences based in Finland to offer young physiotherapy students a pathway to obtain a Bachelors in Physiotherapy Degree. With no IELTS requirements, Finland is also renowned for providing students ample part time employment opportunities during their study period. This pathway is also ideal for students who wish to work as Physiotherapists in Europe and upon receiving the physiotherapy registration will be eligible to apply for permanent residency. Ms. Samitha Jayalath, an alumna of IIHS competed her Bachelors in Physiotherapy degree at Helsinki Metropolia University of Applied Sciences in Finland in 2018 and is practicing as a registered Physiotherapist in Helsinki. 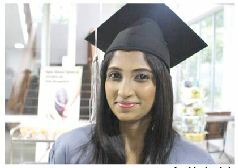 Samitha, an alumni of Viharamahadevi Vidyalaya and the most outstanding student of the Advanced Diploma in Physiotherapy Program at IIHS for 2016 states, “In addition to the current Physiotherapy pathways to United Kingdom and United States of America that exist at IIHS, IIHS has now provided students in Sri Lanka with the opportunity to pursue their studies in Finland. Over the past year I have received support from the academic and administration staff of the University and it made my transition to the European study and work culture extremely positive. I am now a registered Physiotherapist working in Europe and I thank IIHS and Helsinki Metrolpolia University of Applied Sciences for providing me this valuable opportunity in this historically and culturally rich continent”. 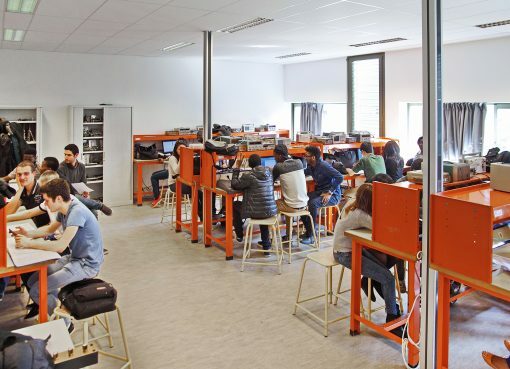 This pathway that Coventry University offers via IIHS is financially attractive for students as the cost saving aspect of the course is exceptionally noticeable. On average, to complete a course of this nature in the United Kingdom would cost a student approximately Rs. 30 Lakhs per year. However, if the student opts to follow this pathway through IIHS the entire cost for 3 years would amount to aapproximatelyRs. 8 Lakhs. This pathway consists of a 3 year Advanced Diploma in Physiotherapy at IIHS followed by 1 year at Coventry University, UK where the student will obtain a Masters in Physiotherapy Degree upon completion of the course. Ms. Ayodhya Karunaratne, alumni of IIHS has very recently graduated from Coventry University with a Masters in Physiotherapy Degree. The Advanced Diploma in Physiotherapy offered by IIHS guided Ayodhya in the direction of research where the young scholar learnt the fine art of linking theory to current evidence based practice. To date, Ayodhya has presented at the Physiotherapy and Trade Conference, (United Kingdom), Annual Global Health Conference (Singapore) and the World Physiotherapy Conference, (Singapore). Additionally, her research was selected to be presented in 2015 at the research conference by Sri Lanka Medical Association. Ayodhya’s research subsequently has been highlighted and published in numerous IIHS journals which not only marks her academic feats, but also has succeeded in inspiring fellow students. The University of Southern Queensland (USQ) pathway for physiotherapists is an extremely popular pathway for students to enter the health workforce in Australia. Upon the completion of the 3 year Advanced Diploma in Physiotherapy, students will have the opportunity to complete an additional 2 years at USQ and will be awarded a Bachelors in Sports and Exercise Sciences in Australia. This qualification will allow students to gain membership in the Sports and Exercise Society, Australia. 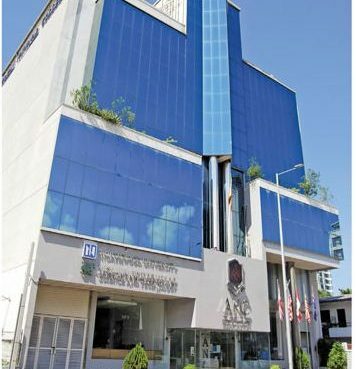 Dr Kithsiri Edirisinghe, (CEO and Founder – IIHS) states, “IIHS is an International University Learning Centerand our organization prides itself on producing SMART people. These students have achieved their goals at a very young age and the affiliations we have with the above mentioned foreign institutes have assisted these students to access the global health care market.We have a student-centric Students like Ayodhya and Samitha excelled in research and the scientific process, thereby outrivaling those at a similar or higher standard through their acute talent and dynamic personalities. As academics it is important to create critically thinking unique students who accept challenges and are on a constant quest for information. We try to enable this process at IIHS”. Intake is now on for the 2017 batch for the Advanced Diploma in Physiotherapy with limited seats. For further information please contact IIHS on 011-4651144/0766566078.